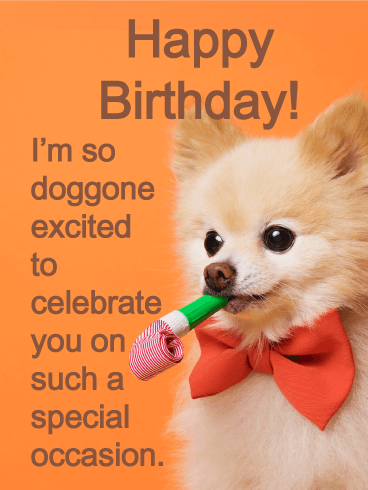 Happy Birthday - May this great day bring you much joy, and of course, some really awesome treats! A lovely wrapped gift box is bursting with pink and peach blooms, bringing a charming touch to this birthday card for someone special. And above is a wish from you that the beauty of this day stays with them all throughout the year. What a wonderful way to let them know how much they mean to you and that you’re thinking of them, no matter how far away they may be. 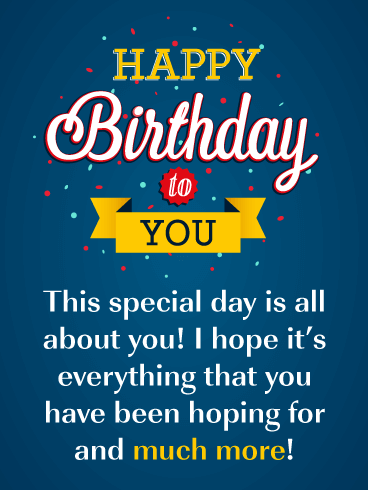 This sensational birthday card will remind the person you know that this day is all about them! It will also let them know you think they are a great person, reading this will certainly make their day extra special. 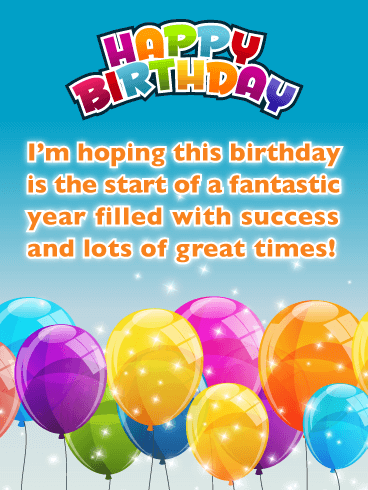 This birthday card showcases awesome balloons, and the words Happy Birthday To You are featured in large letters! 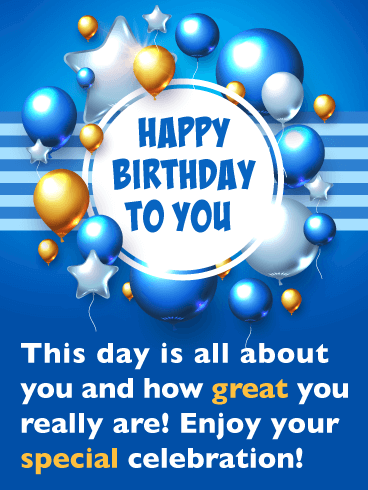 You can’t go wrong when sending this terrific birthday card out, so be sure to send it on its way! 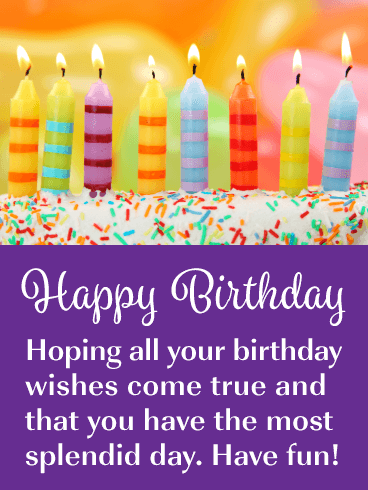 Send someone a bright and happy birthday card that will add joy to their day! Sparkling and colorful balloons are featured in this exceptional greeting card, along with fun lettering! It will allow you to wish someone a fantastic year filled with success and lots of great times. Let someone know how much you care by getting this dazzling birthday card out in time for their big day! 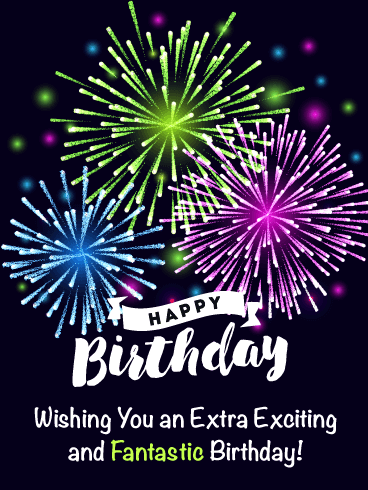 If you are looking for a fun card to send to your friend, loved one, or co-worker for their birthday, you have just found it! 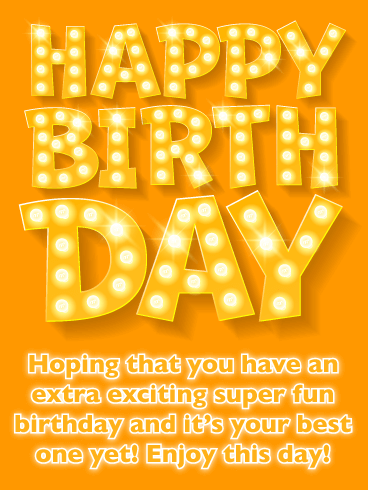 This awesome birthday card was designed with a retro look, great colors, and a thoughtful message. 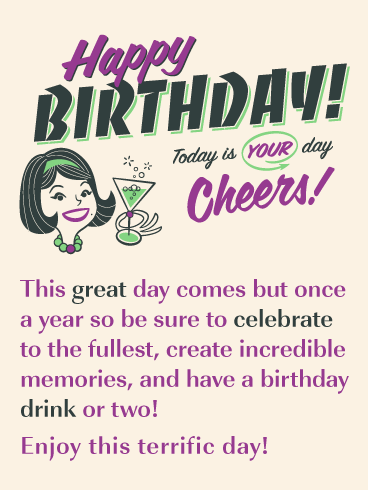 It will allow you to wish someone a Happy Birthday in style while suggesting they have a drink or two in honor of this grand celebration! 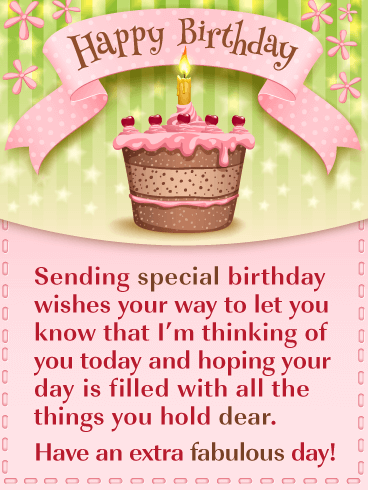 Send this sensational birthday card out soon to wish someone a happy day! This incredible birthday card was created with bright glowing letters that form the words Happy Birthday! Its colors of orange and yellow give it a joyful look. It’s fantastic! 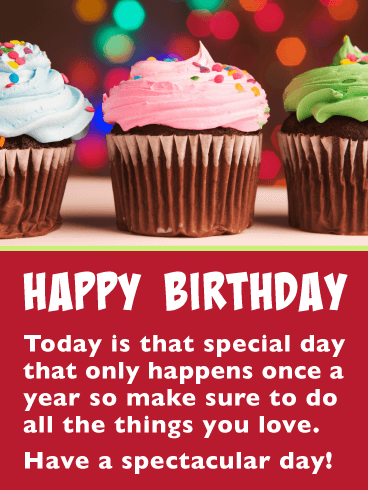 It will wish someone an extra exciting super fun birthday, a great message for anyone to read on their big day. 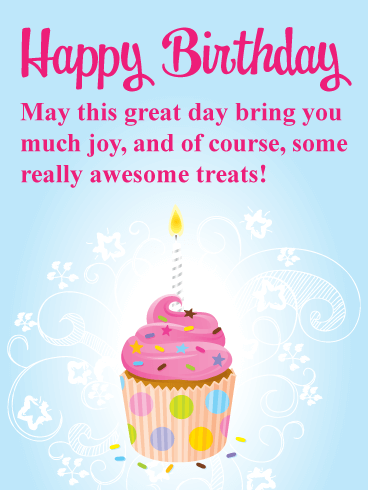 So be sure to add a little sparkle to someone’s day by sending this outstanding birthday card out today! 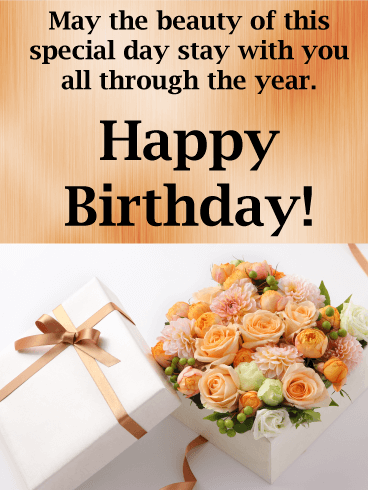 If you want to send a fabulous birthday card to someone on their big day, then you are in luck. This spectacular greeting card will certainly add a smile to someone’s face! It showcases the most awesome cupcakes ever. They feature perfect pink frosting, sprinkles, and designer cupcake holders. A stylish birthday sign is front and center and can’t be missed! It makes this birthday card the very best! 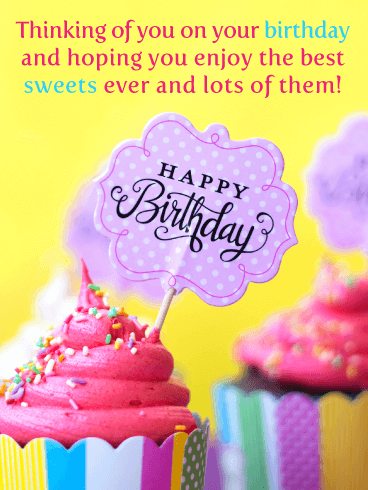 No one can resist perfectly frosted cupcakes, and that’s why this birthday card would be great to send to anyone you want to impress! It features three irresistible cupcakes with delicious frosting and sprinkles! It also displays fabulous bright colors that will grab anyone’s attention. The best part is that it will remind them to do the things they love on their birthday!